Packaging & Delivery：Export standard packing and customized packing is available. Material:PPR. Specification:pn1.25. Thickness:20-160mm.Color:White green grey or customized. 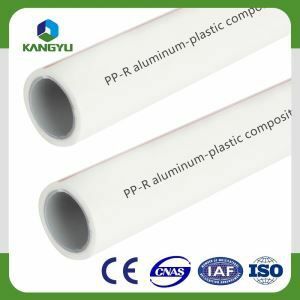 Compared with the traditional PPR pipe cast iron pipe, galvanized steel pipe, cement pipe and other pipe, with energy saving, environmental protection, high strength, corrosion resistance, with smooth inner wall has the advantages of scale, construction and easy maintenance, long service life, widely used in building water supply and drainage, urban drainage, City gas, electricity and cable sheath, industrial fluid transportation, agricultural irrigation construction, municipal, industrial and agricultural fields. 1, Building hot and cold water supply system. 2, Floor heating and central air conditioning system. 3, Drinking purified water system. 4, Beverage production delivery system. 5, Coal gas and natural gas transportation system. 7, Industrial water and chemical learning medium transport emissions.